Eye-catching yet versatile, Anna flower ring features two layers of twisted petals. The framework of the flower is made from silver plated metal. 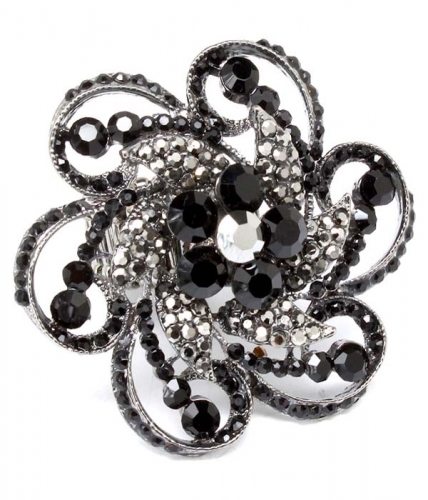 The lower petals are adorned with black crystal, while the upper layer - with silver tone studs. Be seen wearing this fabulous fashion jewellery item, compliments are sure to follow!